There’s no need to suffer through your kitchen renovation with these useful tips compiled by our Mint Kitchens experts. Most people – particularly those who are new to renovating – don’t plan their budget properly and are therefore surprised when it blows out. Remember that a makeover is not the same as a new kitchen so, when comparing quotes, make sure you understand exactly what is included in each. DIY can sound like a cost saving exercise but homeowners too often realise the difficulty of scheduling and co-ordinating trades. Delays caused by trades unavailability is a huge factor in budget blow out. It’s very important when you embark on a renovation to know where you are prepared to compromise and where you are not. Be realistic about those items you feel you must have in your kitchen and those you could live without if you really had to. If you are a serious cook and entertainer, it’s better to invest in quality appliances, for example. Don’t be afraid to be honest with your designer about this list – it’s a really important tool they can use to ensure the final design meets your needs. 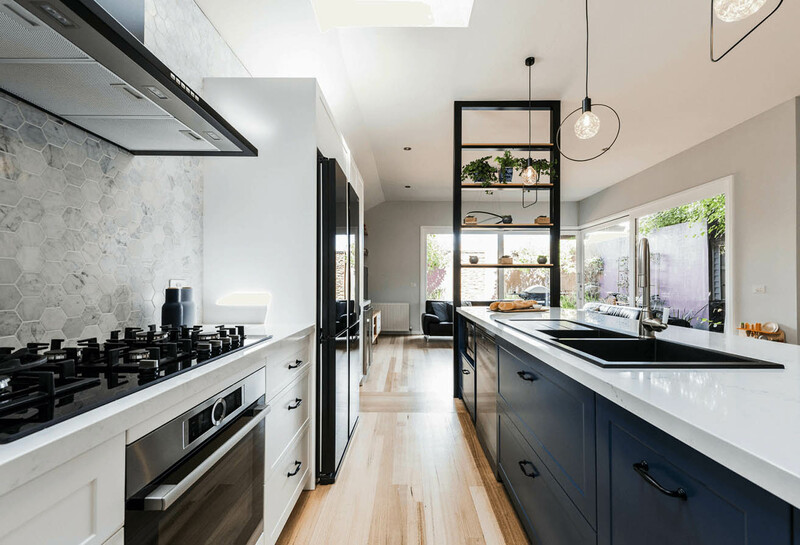 Particularly if you have been living with an old, dysfunctional kitchen for many years, or there is simply a blank space on a plan from an architect or builder, it can be difficult to see the potential. But here’s where your specialist kitchen designer has the knowledge and experience to create a new kitchen that is all you desire. A makeover won’t solve functionality issues so don’t be fooled into thinking a facelift will be a magic fix. Be prepared to consider moving or removing walls to create the ideal plan. Too often we see homeowners needing a new kitchen “in time for Christmas” or “in time for the new baby” and these types of time restrictions only add stress. If you do want your kitchen renovated in time to cook a beautiful Christmas lunch, get started early in the year. The planning and design process needs time to ensure the space meets all your needs. Factories become very busy in the second half of the year, as do benchtop manufacturers, and it only takes one delay to upset the whole schedule. If you receive a quote that is substantially cheaper than another, take the time to find out why. If the company is cutting corners to bring down the costs, you can be sure it will be the quality of the end result and the communication through the process that will be sacrificed, not the company’s profit margins. Always check the credentials of the company providing the quote – do the kitchen designers have specialist design qualifications or are they just sales people? Have they entered and been successful in various industry-judged award programs? At Mint Kitchens, we specialise in creating amazing spaces for our customers and our reputation is second to none. Talk to us today about your dream space and let our experts help you create it.